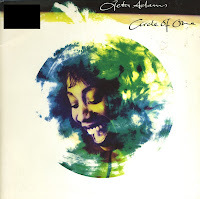 Although Oleta Adams' debut album 'Circle of one' was a big seller in 1991, the singles seemed to be less popular. Although the title track was released as a single earlier on, the record company tried re-releasing the track in remixed form in a bid to get it higher up in the charts. The remix was made by one Yvonne Turner and sounded very different from the original version. 'Get here' was originally written and performed by Brenda Russell on her 1988 album of the same name. The solo career of American singer Oleta Adams, who made a name for herself by working with the British band Tears for Fears, took off when she released her cover version of the song as a single in the autumn of 1990. It reached number 5 in the US Billboard Hot 100 chart, number 4 in the UK singles chart and number 27 in the Dutch Top 40. 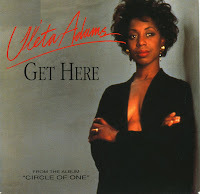 'Circle of one' was the second single released by Oleta Adams, taken from her debut album of the same name. Capitalizing on the success she found with Tears for fears wasn't easy at first, because after her debut single 'Rhythm of life' only reached number 52 in the UK singles chart, this one only managed to peak at number 95. 'Circle of one' was written by Adams herself and produced by Roland Orzabal and Dave Bascombe. It would take another single to finally find breakthrough success: the ballad 'Get here'. Oleta Adams was born on May 4, 1953 in Seattle, Washington as a daughter of a preacher. She was raised with gospel music. She tried to pursue a career in music in the Seventies but her work was often rejected. In 1986, her fortunes changed when she was performing live in a bar in Kansas City. She met Roland Orzabal and Curt Smith from the band Tears for Fears. They were so impressed with her singing that they wanted her to collaborate on their 1989 album 'The seeds of love'. After this was a success, Adams signed her own record deal and released her debut album 'Circle of one'. 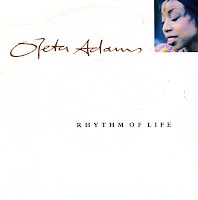 'Rhythm of life' was released as the album's first single, reaching number 52 in the UK singles chart and number 31 in the Dutch Top 40. 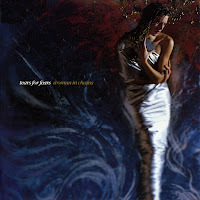 After the release of Tears for Fears' compilation album 'Tears roll down: Greatest hits 82-92' in 1992, their 1989 single 'Woman in chains' was re-released in the UK. 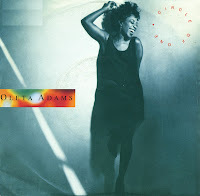 By that time, Oleta Adams, who was virtually unknown at the time of the original release, had become a famous singer in her own right, so this single was actually credited to 'Tears for Fears featuring Oleta Adams'. The record company even went so far to include the other album track from 'The seeds of love' (1989) featuring Adams on the B-side. While the original release reached number 26 in the UK singles chart, this re-release only managed to scrape in at number 57, and then dropped of the chart again the next week. 'Woman in chains' was the second single from Tears for Fears' 1989 album 'The seeds of love'. 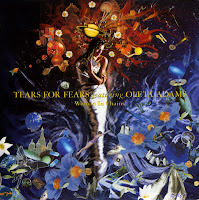 Band members Roland Orzabal and Curt Smith discovered Oleta Adams while she was singing in a seedy bar somewhere in America. They decided that she had to work with them on the album, and 'Woman in chains' was one of two tracks on which she appeared. The track features Phil Collins on drums. Roland Orzabal explained about the lyric: 'The song is also about how men traditionally play down the feminine side of their characters and how both men and women suffer for it.... I think men in a patriarchal society are sold down the river a bit - okay, maybe we're told that we're in control but there are also a hell of a lot of things that we miss out on, which women are allowed to be.' The single peaked at number 26 in the UK singles chart and number 12 in the Dutch Top 40.